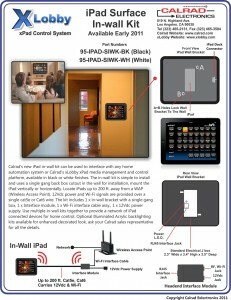 Calrad’s new inwall iPad kit. Mount your iPad in the wall for a complete control system. Charges your iPad and provides Wi-Fi signal up to 200 ft. . The new Calrad catalog is available Jan 1st. 2011 with lot’s of new products and accessories. The catalog is available in printed format and on a CD. Get your copy today…..! Calrad catalog 61 in printed format. The Calrad Catalog 61 disk contains the complete Calrad catalog in PDF and individual pages in PNG image format. 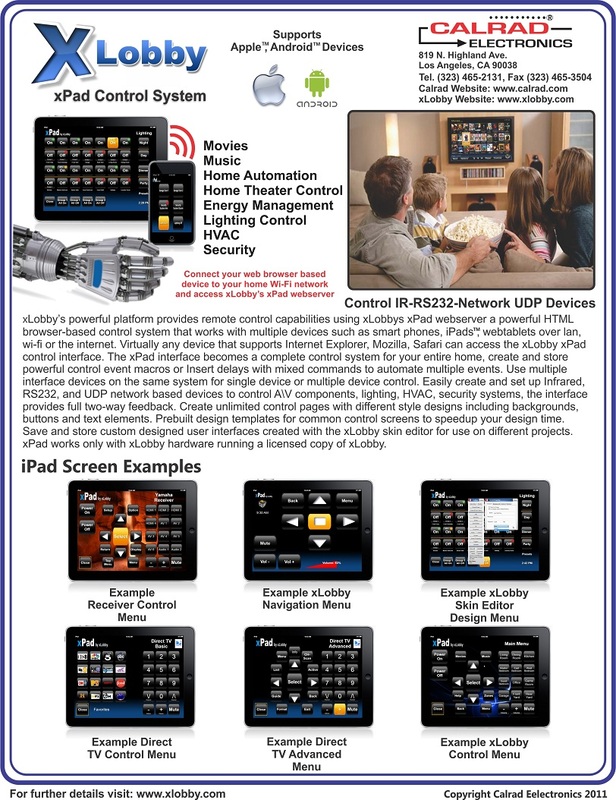 The xLobby brochures and product information sheets are also included. Example page 71 in .png image format. A viewable online version will be available soon. Happy New Year to everyone……! At CES 2011 xLobby will have it’s own booth seperate from the Calrad booth, this allows customers to view and touch xLobby products and technology directly. The booth will showcase the new xLobby Cube hardware and the xPad-iPad control integration of the most current V3 software release, this will provide visitors with a focused experience on what the new xLobby platform is all about. Booth number 20314, south hall, bottom floor of the Las Vegeas convention center. 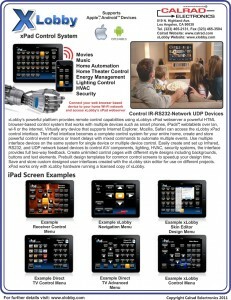 Looking forward to seeing you at CES 2011. Where is that xLobby Cube, It has to be in here somewhere…..! As the Holiday Season is upon us, we find ourselves reflecting on the past year and on all of our customers and xLobby forum supporters who have helped to shape our business in a most significant way. We value our relationship with all of you and look forward to working to make xLobby a valuable platform on which to create systems that enhance your home theater and home automation systems. We wish you a very safe, happy Holiday Season and a New Year filled with peace and prosperity. You are currently browsing the xlobby news blog archives for December, 2010.